Strolling along the Gubei Water Town and its historic sites, witness the most beautiful and breathtaking sunset on the summit of Simatai Great Wall. Please select your hotel and BOOK NOW! You can find the pickup time on the next page. If you can not find the wanted hotel, please select the final "Z - my hotel is not in the list", then tell us about your hotel name and pickup time of reception by email. In the morning, our guide will meet you at the lobby of your hotel from 6:00AM to 6:30AM, then transfer you for the fabulous views and adventurous hiking at Gubei Water Town and Simatai Great Wall. 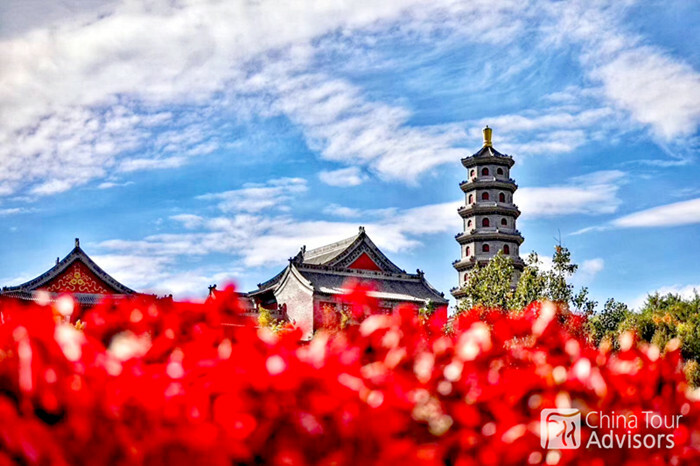 Strolling along the Gubei Water Town with the most natural and historic sites, you will get a good chance to stay far away the hustles and bustles of the outside busy world. 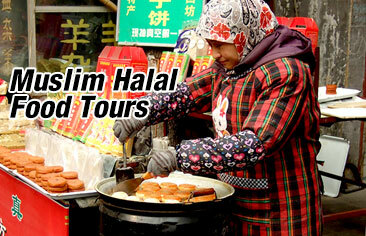 Around lunchtime, you can enjoy your meal (own expense) at the nearby halal restaurant. After lunch, we will continue our trip to the Simatai Great Wall.Then our tour guide will take you through the most beautiful and breathtaking Great Wall along the way. Hiking along this fantastic part of the Great Wall will bring you back in time to the golden ages of imperial China and know more about the Ming Dynasty. 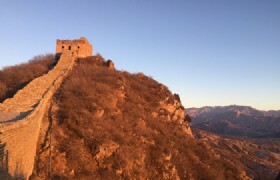 Additionally, taking fabulous photos on Simatai Great Wall, where is regarded as the best place to appreciate the wonderful sunset around the Great Wall, will give your perfect ending for your day trip. Gubei Water Town is situated at the foot of Simatai Great Wall and is a water town with over 1,000 years history. 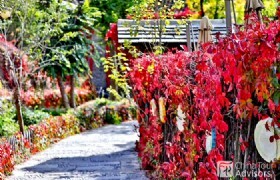 Gubei Water Town is located in Gubeikou which is part of Beijing’s Miyun District. Gubei Water Town Scenic Area is made up of Simatai Great Wall and Gubei Water Town. The scenic area was closed in 2010 for restoration and was officially reopened to the public in January 2014.
erial China and know more about the Ming Dynasty. Additionally, taking fabulous photos on Simatai Great Wall, where is regarded as the best place to appreciate the wonderful sunset around the Great Wall, will give your perfect ending for your day trip. 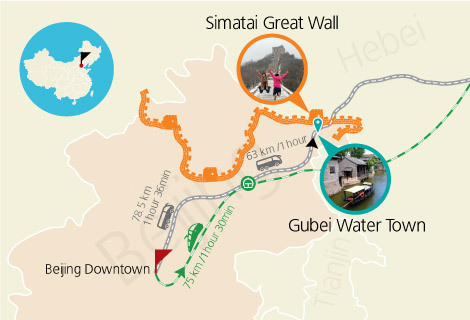 Simatai Great Wall is located in Miyun County which is 120 kilometers from Beijing. 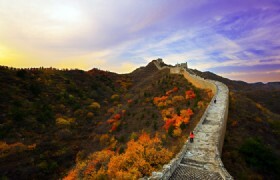 It is the only section of the Great Wall that has preserved the original Ming Dynasty architecture. Simatai was first constructed in the 6th century and later rebuilt by General Qi Jiguang of the Ming Dynasty. This section is 5.4 kilometers in length and has 35 beacon towers and the steepness of the wall is the distinctive features of Simatai. In 1987 Simatai Great Wall was enlisted into UNESCO Heritage Sites. 06:30 - 09:00 drive to Simatai. We prepare some simple food for breakfast on the coach. 09:30 - 12:30 visiting time in Gubei Water Town. 12:30 - 13:00 lunch by yourself. If you book a hotel room from us for overnight stay, you arrange return transfer back to Beijing downtown by yourself. 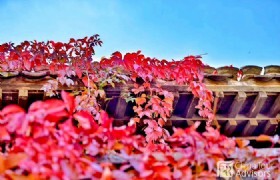 From luxury super star boutique hotel to cozy home stay, Gubei Water Town has everything here. The night at the foot of Simatai Great Wal is a once-in-a-life-time experience. Accommodation is available at an optional cost. Hotel pickup from selected hotels in downtown Beijing. Round trip coach transfer between Beijing and Gubei Water Town on the same day. Return transfer to Beijing on 2nd day. After select a date, you will see rate for different size of group from 1 adult to 15 adults.